- Kiwi "underperformance" ahead as RBNZ out-doves the RBA. - RBNZ to warn of rate cuts after series of poor economic figures. - ASB forecasts rates on hold until 2021, to peak at 2.25% this cycle. 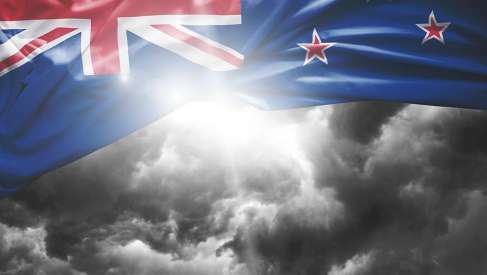 The Kiwi Dollar will underperform rivals this week as the Reserve Bank of New Zealand (RBNZ) attempts to out-dove its Australian sister with new economic forecasts and fresh guidance on the interest rate outlook this Wednesday. The Reserve Bank of Australia (RBA) put a significant dent in the Aussie last week after it warned that it may soon cut interest rates because of low inflation, a faltering global ecomomy and a downturn in the domestic housing market. Analysts are saying the RBNZ will follow suit this week. New Zealand's interest rate has already been at a record low for more than two years given weak inflation pressures that have left the consumer price index below the midpoint of its 1%-to-3% target, but the outlook for price pressures has deteriorated of late and the RBNZ will have little choice but to acknowledge it this week. "We expect the RBNZ to out-dove the RBA and emphasise "downside risks" on Wednesday," says Annette Beacher, chief Asia Pacific macro strategist at TD Securities. "Orr can remind the markets that most core measures of inflation remain below 2% and wage growth remains sluggish despite reports that labour (skilled and unskilled) is hard to find." Consensus is firmly in favour of the RBNZ leaving its interest rate unchanged at 1.75% when it announces the latest decision on at 01:00 London time on Wednesday which, if correct, would leave markets looking to the accompanying statement and economic forecasts for cues on what to do about the Kiwi Dollar. The number of unemployed grew sharply during the final quarter of 2018 and employment grew only slowly, with the net effect being a sharp rise in the jobless rate during the final months of the year. GDP growth fell to an annualised pace of 2.6% during the third quarter, down from a revised 3.2% for the second quarter, which was the weakest pace of expansion seen in New Zealand for three years. Furthermore, with the Chinese economy expected to slow even further in 2019 than it already did last year, the outlook for global growth has deteriorated. And there is a litany of risks that could yet see the outlook darken further, including the prospect of an escalation in the U.S.-China trade war on March 01. "A statement that incorporates the bulk of our 'checklist' above can be expected to weigh on swap rates and deliver NZD underperformance. 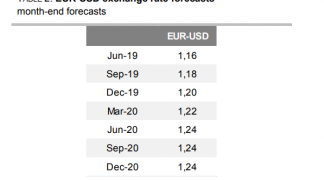 The RBNZ can acknowledge that activity has been patchy, and global downside risks have increased, such that the August 2018 rate cut scenario can be resurrected," Beacher writes, in a note to clients. 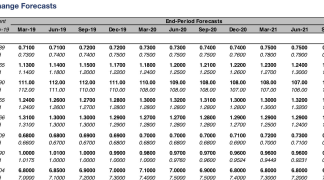 Beacher estimates that there is around an 80% probability the RBNZ will use its statement as well as economic and financial forecast to suggest to the market that the odds of an interes rate cut being delivered at some point in the coming quarters has increased. The RBNZ warned in August 2018 that it would cut interest rates this year if economic growth did not pick up during the six months to the end of December, only since then inflation data has convinced the market that a rate cut is no longer a done-deal, albeit that official data has shown the economy slowing even further in the interim. "Wednesday’s RBNZ MPS will test whether the 25bp of OCR cuts priced in by the market is a valid characterisation of the risk profile. We expect the RBNZ to hold the OCR at 1.75%, for the published OCR interest rate track to potentially be pushed out and for Governor Orr not to rule out prospective OCR cuts," says Jane Turner, an economist at New Zealand's ASB Bank. Turner and the ASB team have recently slashed their forecasts for Kiwi interest rates over the coming years. They now say the RBNZ will probably hold its cash rate at 1.75% until early 2021 and that the cash rate will only make it as far as 2.25% this side of the next downturn. 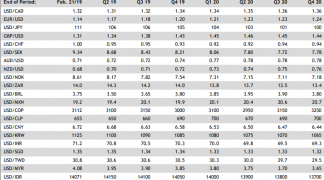 This view is almost a controversial one when it is compared with what is currently being suggested by pricing in the interest rate derivative market, where the implied RBNZ cash rate is just 1.54% for the month of February 2020. That's nearly a full 0.25% rate cut below the actual cash rate the prevails currently, suggesting that investors overwhelmingly think it's a good idea to be betting the RBNZ will soon tale an axe to its benchmark for Kiwi borrowing costs. "The RBNZ is this week the obvious focus for the kiwi as rate expectations collapsed last week on the latest jobs and earnings data," says John Hardy, chief FX strategist at Saxo Bank. "The Kiwi has escaped weakness as the market has preferred to use AUD as the Antipodean whipping boy – this week is an important test of that tendency." 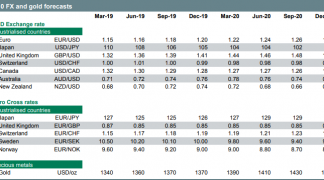 The NZD/USD rate was quoted 0.15% higher at 0.6731 and has risen 0.13% for the 2019 year-to-date, which makes the Kiwi the third best performing G10 currency against the Dollar. The Pound-to-New-Zealand-Dollar rate was -0.21% lower at 1.9105 Monday but has risen 0.84% this year. Sterling is currently the G10 universe's second best peforming currency relative to the U.S. greenback.